“A dream is a personal experience of that deep dark ground that is the support of our conscious lives, and a myth is the society’s dream. The myth is the public dream and the dream is the private myth.” –Joseph Campbell, The Power of Myth. “Wishing and hoping come directly out of the function of dreaming and making myths.” — Rollo May, The Cry for Myth. [Music: “I Dreamed a Dream” is a song from the musical Les Misérables. It is a solo that is sung by the character Fantine during the first act. … The song is a lament, sung by the anguished Fantine, who has just been fired from her job at the factory and thrown onto the streets. See Wikipedia for more history and analysis] : “I Dreamed a Dream”/Anne Hathaway : “There was a time when men were kind … There was a time when love was blind … And the world was a song … And the song was exciting. There was a time… Then it all went wrong. I dreamed a dream in times gone by / When hope was high and life worth living / I dreamed, that love would never die / I dreamed that God would be forgiving… I had a dream my life would be / So different from this hell I’m living / So different now from what it seemed / Now life has killed the dream / I dreamed.” Songwriters: Alain Albert Boublil / Claude Michel Schonberg / Herbert Kretzmer / Jean Marc Natel. 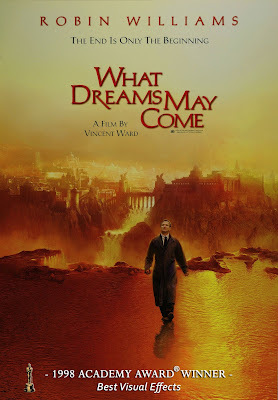 “I Dreamed a Dream” lyrics © Warner/Chappell Music, Inc.
“Dreams are a private application to one’s life of public myths in which we all are participants.” –Rollo May, The Cry for Myth. Recovering from knee surgery was an ordeal that included many nights of restlessness and pain. During those times, often under the influence of medication, I would lie in my hospital bed, trying to ease the distress by visualizing my home, mentally walking through each room, recollecting objects, colors, and decor. Soon I was focusing more specifically, trying to picture book titles, CD labels, and the covers of my DVD collection. I was trying to remember, to ease the pain. After the allowed hospital stay post-surgery, I had to spend a week in a private room in a rehab center. There I was welcomed, my aides eager to heal me, though determined to spoil me in the process. Constant attention was paid to the person in the private room, who just wanted to moan and get some rest. For unknown reasons, again, my mind would drift, and my memory would work to make mental lists. In the evening, I would fall into a light sleep. I would dream lightly, and then awaken after an hour or so, in my darkened room. Forced to lie on my back because of the surgical staples, I could turn a bit on my side, enough to reach the bedside stand and the light–but also my gel pen. On the back of the small slip of paper (my evening meal menu), I added item after item from my mental lists–items that I deemed important. During the day, I would study my list. Between sessions of the staff trying to help me move, to do some exercises, and my pleasant occupation of trying to regain my strength by eating, I would edit and refine my lists. At home, after my release from my sick bed, I found some time to copy out those remembered “favorites”–those, “What-if-you-were-stranded-on-a-desert-island-with-only-one…?” whatever-item. By many standards, my hospital list might seem amateurish. Nevertheless, as I later began to study the items, I was surprised that such awareness and detail could come during periods of intense pain. Even though I felt at times as though I were dying, I knew I was not. I just wanted out of that hospital bed, out of that place–and wanted a Jack and Coke…. The Written Word: Othello; A Tree Grows in Brooklyn; The Guns of August; The Power and the Glory; Childhood’s End; The Handmaid’s Tale. My Visuals: Vermeer; Tiffany; Bernini; Crayolas; Chicago Architecture. Music: Vivaldi; La Boheme; Gregorian Chant; Streisand Duets; Fleetwood Mac. Movies: English Patient; Casablanca; Jerry McGuire; Shakespeare in Love; Carousel; What Dreams May Come; Moonstruck. My Beverages (Yes, I even thirsted after other types of pleasures): Jack Daniel’s; Scotch whisky; Gewürztraminer; Diet Vanilla Coke; Arizona Sweet Tea; Cherry Dr. Pepper.